The H.U.M. Trail (a.k.a. 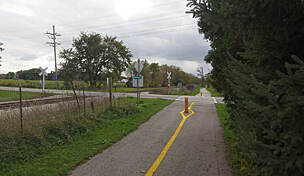 the Huntley-Union-Marengo Trail) was planned to link all three of its namesake northern Illinois towns, but so far only connects Marengo and Union. Interestingly, the rail-trail has two railroads in its history. The still active line on its north side—what makes this a modern rail-with-trail configuration—was built by the Galena and Chicago Union Railroad. It holds the distinction of being the first line to be built out of Chicago. Parallel to the trail on its south side used to be a line of the Illinois Traction System, an Interurban electric railway with service to many communities all over the state. 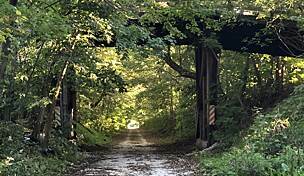 Several Illinois rail-trails are built on sections of this old railroad. 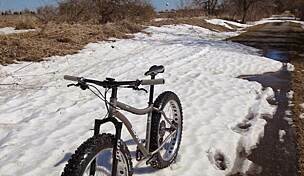 The trail is mostly flat and pleasantly shaded in parts, as it passes by cultivated fields along the railroad tracks on one side. 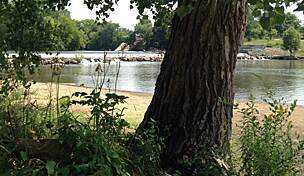 It has nice in-town connections on both ends, inviting the use of local residents and travelers alike. Just 1.3 miles beyond the present trail end in Union is America’s largest railroad museum, the Illinois Railway Museum. One day this will be the centerpiece of the H.U.M. Even now, it’s a ‘must see’ while in the area. 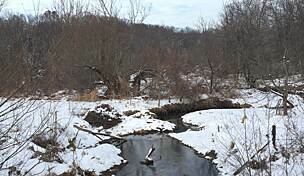 From US Route 20 in Marengo, take Prospect Street north for 0.2 miles, to the trailhead park on the right (east) side. 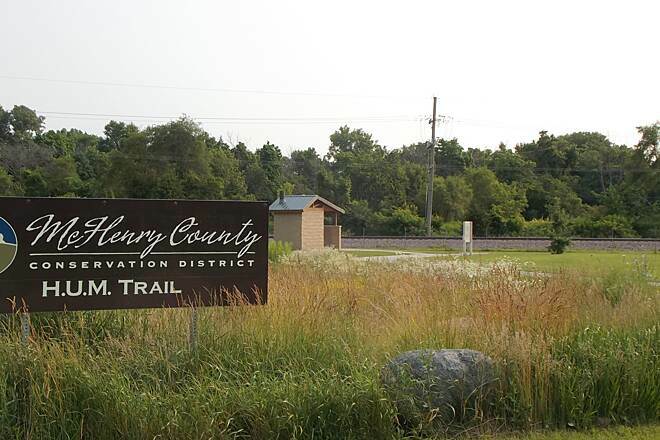 The McHenry County Conservation Districts original plan was to build a bike trail from Huntley through Union, Marengo and ending at the Mchenry County/Boone County line. 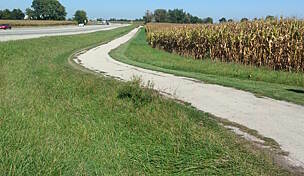 So far, it's runs only 3.5 miles between Union and Marengo due to lack of funds. The H.U.M. 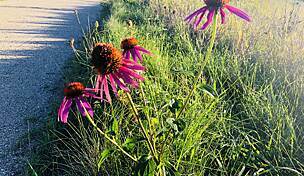 is an easy flat paved trail that can be crowded with kids walking home after school. Also the local schools, Marengo Community Middle School and Zion School, use it for after school running programs. Best times to use are weekdays before 3:00 and weekends. Flat terrain and paved. Flowers along the way are fragrant. Road from Marengo (park is by the school) to Union and stopped at Checkers for beer and lunch. Philadelphia Cheese Steak & waffle fries were yummy. Coleslaw was some of the best I have had. Easy ride. We've driven through Marengo lots of times, never imagining it had such a nice trail. We'll be back again to ride this with the grandkids. Bikes, scooters, or just walking. 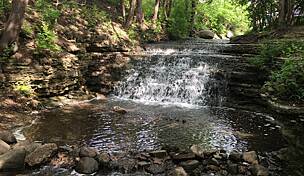 It's a great place to get out for a little fresh air. We especially liked: * The touch of history at the west trail end – the settler's cemetery with graves dating back to the mid-1800s. 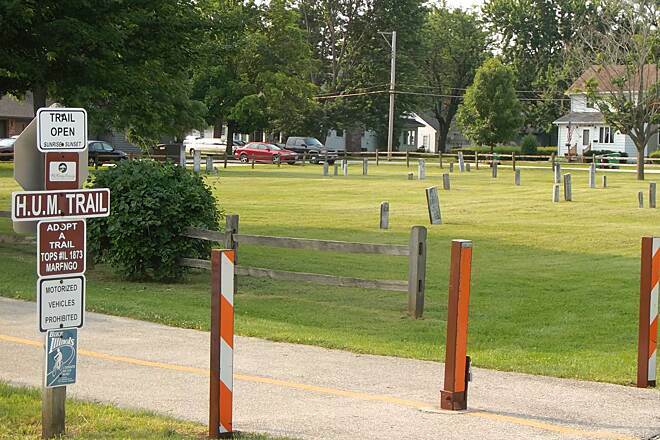 * The wide trail spur along Prospect St., by the trailhead park in Marengo – linking the trail to the Middle School. 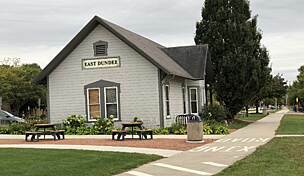 * The quaint old town of Union at the east trail end, just a short on-street ride on to the excellent Illinois Railway Museum. It surprised us how many locals we saw using the trail. Serendipitously, we met a rider who worked at the railway museum. 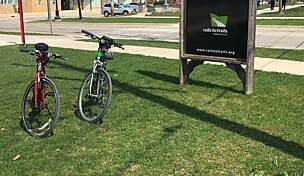 He most generously paused his vigorous morning bike ride to tell us a lot about Northern Illinois rail history. 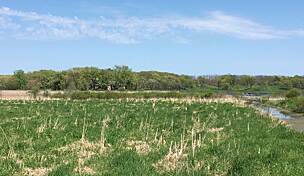 I've used this trail as a start for longer rides, since there are only a few miles completed from Marengo to Union. There is a nice parking area in Marengo just off Prospect Street with facilities. The well-shaded and quiet trail currently ends in Union in a parking lot just west of the main street where you can find a convenience store, a tavern and a nice little restaurant. I usually make a loop through the countryside there. The Illinois Railway Museum is a short and safe ride from there. I'm looking forward to the completion of this trail. nice path, wasn't too busy, and very straight and flat. Road crossings seemed very safe. I plan on riding it again. I work at the nearby high school, so I am always running this paved trail after school. 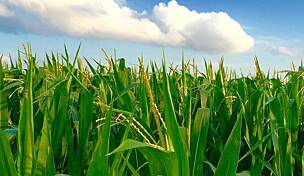 It is paved and well-maintained, but does tend to flood in sections when we have heavy rains. It doesn't actually go to Harvard, but does run from Marengo (misspelled in the description) all the way to Union. It is very scenic and safe. 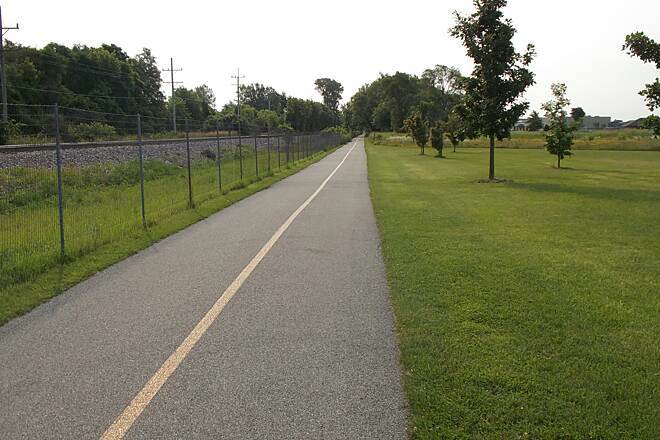 A nice path on which to bike or run, and is well-used on nice spring and summer days.